The Trainersoft Desktop Author is one of the most highly-rated authoring systems for computer based training (CBT) applications in the corporate and industrial worlds, both foreign and domestic. This E-Learning tool is used to create courses that can be viewed as desktop applications, or as online learning courses over the internet. The Trainersoft Desktop Author allows E-Learning authors to also create quizzes and tests. Performance can then be tracked by Learning Management Systems (LMS) and Learning Content Management Systems (LCMS). 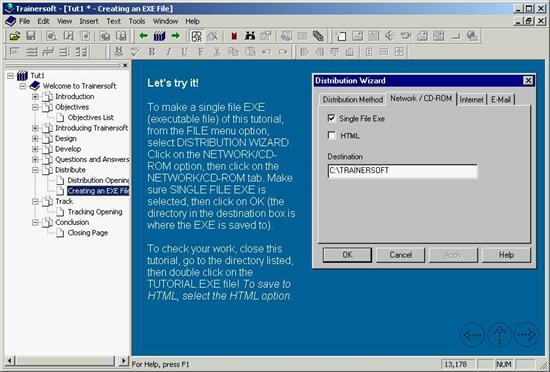 Trainersoft Desktop Author claims many of the Fortune 500 companies among its thousands of users. It also won the 2001 and 2002 Education Software Review Award in the "Best Software - Teacher Tools" category. That contest is sponsored by the San Diego Center for Educational Technology and includes technology vendors from around the world. Sales of the Trainersoft Desktop Author and related services also propelled the company into the "Inc. 500"
Spectrum Research developed and produced versions 1.0 - 7.5 for Trainersoft, Inc., and worked with the Outstart, Inc., team on the current Trainersoft Desktop Author 8.0 just prior to Trainersoft's merger with Outstart, Inc. It supports export of E-Learning courses to CDRom, stand alone executable, or the internet. 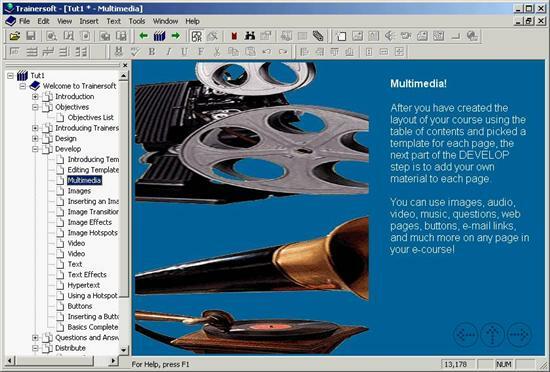 The Trainersoft Desktop Author supports many different types of multimedia for inclusion in E-Learning courses.